The pedestrian who died in a road traffic collision in County Londonderry this morning (Saturday, August 18) has been named. Sinn Féin MLA Caoimhe Archibald has expressed her and her colleague’s deepest sympathies to the family and friends of Mr McCafferty. 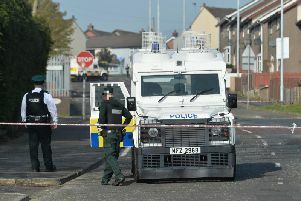 The MLA said: “My thoughts and prayers go out to the family and friends of the man. The Foreglen Road near Claudy was closed in both directions after the incident. Mr McCafferty was struck by a car at around 2am. Police have asked witnesses or anyone with information or dashcam footage to contact them on 101.